Chris is a creator, illustrator, and designer calling the Great Northwest home. 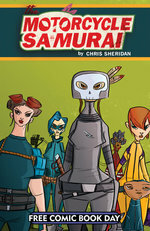 With a background in film and animation, Chris brings a dynamic approach to his storytelling and rendering. 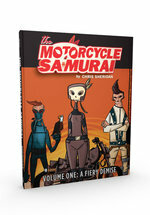 His graphic novel Motorcycle Samurai captured the wide-angle sense of the 70’s cinema spaghetti westerns infused with vibrant storytelling and unique characters. 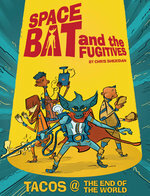 The all-ages comic Spacebat and the Fugitives took those angular characters and loose renders to a new level, and a new place: outer space! Chris currently lives in Seattle with his wife and their two bikes.